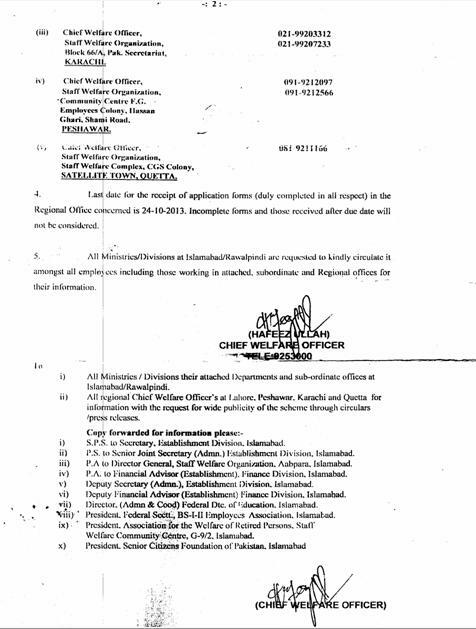 Govt of Pakistan Establishment Division, Staff Welfare Organization, Islamabad has issued circular No. 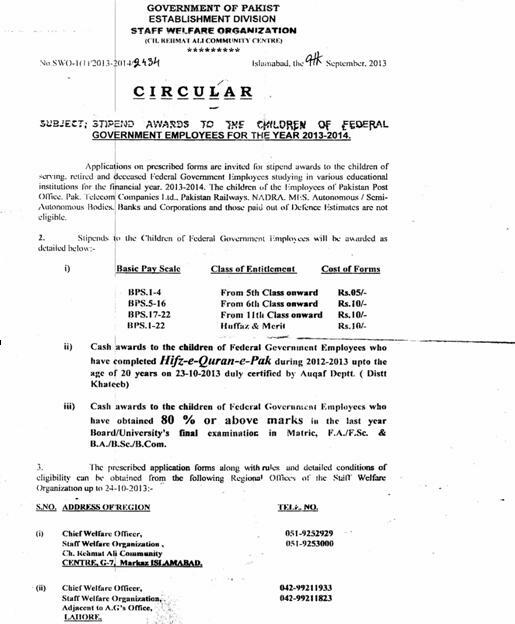 SWO-I (1)/2013-2014/2434 dated 9th September 2013 in connection with the Award of Stipend to the Children of FG Employees for the Year 2013-2014. 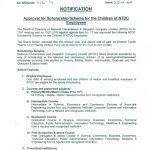 Applications on prescribed forms are invited for stipend awards to the children of serving, retired and deceased FG Employees studying in various educational institutions for the financial year 2013-14. 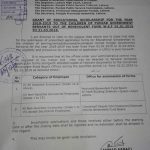 The children of Pakistan Post Office, Pakistan Telecom Companies Ltd, Pakistan Railways, NADRA, MES, Autonomous/Semi autonomous Bodies, Banks and Corporations and those paid out of Defence Estimates are not eligible. 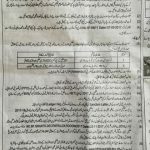 Cash Awards will be granted to the Children of FG Employees who have completed Hifz-e-Quran-e-Pak during 2012-13 upto the age of 20 years on 23-10-2013 duly certified by Auqaf Department (District Khateeb). 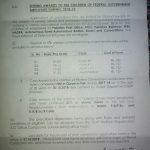 Cash Awards will also be granted to the Children of FG Employees who have obtained 80% or above marks in the last year Board/University Examination in Matric, FA/F.Sc, BA/B.Sc/B.Com. 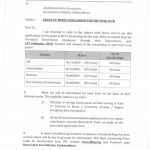 The prescribed application forms along with rules and detailed conditions of eligibility can be obtained from the regional offices of Staff Welfare Organization upto 24-10-2013. 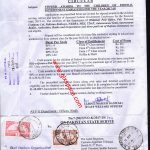 Last date for the receipt of application forms (duly completed in all respect) in the regional offices concerned is 24-10-2013. This post has been delivered by Mr. Liaquat Kamboh.